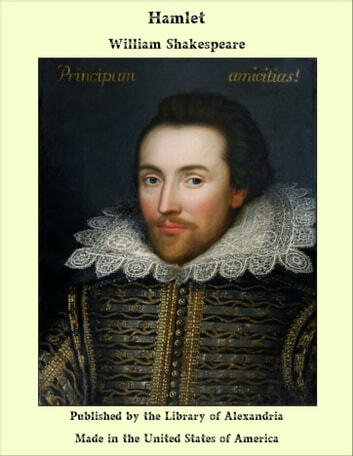 William Shakespeare was born in Stratford-upon-Avon, a small country town. Stratford was famous for its malting. The black plague killed in 1564 one out of seven of the town's 1,500 inhabitants. Shakespeare was the eldest son of Mary Arden, the daughter of a local landowner, and her husband, John Shakespeare (c. 1530-1601), a glover and wood dealer. John Aubrey (1626-1697) tells in Brief Lives that Shakespeare's father was a butcher and the young William exercised his father's trade, "but when he kill'd a Calfe he would do it in a high style, and make a speech." In 1568 John Shakespeare was made a mayor of Stratford and a justice of peace. His wool business failed in the 1570s, and in 1580 he was fined £40, with other 140 men, for failing to find surety to keep the peace. There is not record that his fine was paid. Later the church commissioners reported of him and eight other men that they had failed to attend church "for fear of process for debt". The family's position was restored in the 1590s by earnings of William Shakespeare, and in 1596 he was awarded a coat of arms. Very little is known about Shakespeare early life, and his later works have inspired a number of interpretations. T.S. Eliot wrote that "I would suggest that none of the plays of Shakespeare has a "meaning," although it would be equally false to say that a play of Shakespeare is meaningless." (in Selected Essays, new edition, 1960). Shakespeare is assumed to have been educated at Stratford Grammar School, and he may have spent the years 1580-82 as a teacher for the Roman Catholic Houghton family in Lancashire. When Shakespeare was 15, a woman from a nearby village drowned in the Avon. Her death was ruled accidental but it may have been a suicide. Later in Hamlet Shakespeare left open the question whether Ophelia died accidentally or by her own hand. At the age of 18, Shakespeare married a local girl, Anne Hathaway (died 1623), who was eight years older. Their first child, Susannah, was born within six months, and twins Hamnet and Judith were born in 1585. Hamnet, Shakespeare's only son, died in 1596, at the age of 11. It has often been suggested, that the lines in King John, beginning with "Grief fills the room of my absent child", reflects Shakespeare's own personal feelings.